Hands down one of our favorite places to visit in Chester County is Longwood Gardens. In the years we’ve been visiting Longwood it has certainly gotten more child friendly. 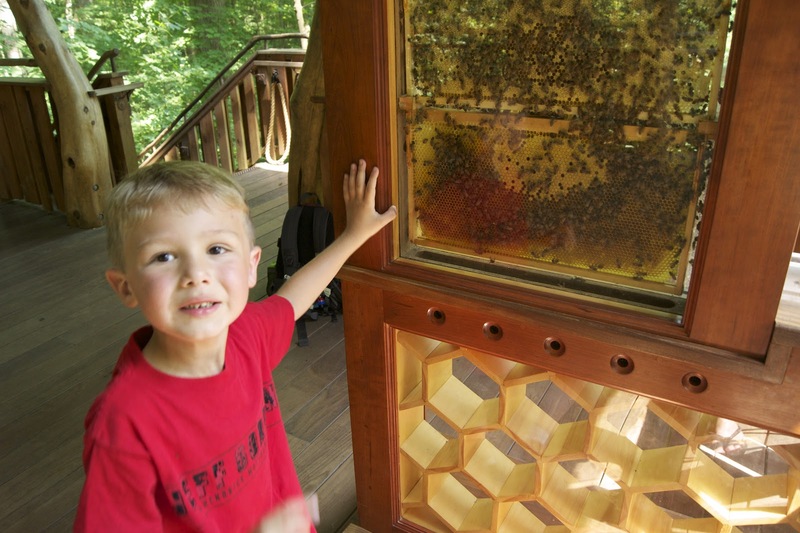 With the tree houses and the indoor and outdoors children’s gardens there are plenty of fun, kid friendly things to do. The kids never get tired of visiting Longwood Gardens and it’s a great place to visit all year long. With beautiful blooms and fireworks half the year and beautiful lights and trains the other half. They often have fun activities for the kids and special events on days off from school. Craft and learning stations scattered throughout the gardens give the kids something new to try as they run around in the fresh air. My kids love to run through the mist of the fountains during the main fountain show. It’s the perfect way to cool off on a hot summer day. I even get in on the action from time to time. Monday and Tuesday mornings your preschooler can enjoy story time and a fun craft. The kids can learn about garden related topics in a fun environment and it gives you a great excuse to get out of the house. The best way to visit Longwood Gardens? As a member! Sure membership is a little pricey at $120 for a family, but it pays for itself quickly. Your membership also gets you discount on other things Longwood Gardens has to offer as well as discounts at garden centers and nurseries in the area. Also going on now is something that you’ll want to let the kids stay up late to see. 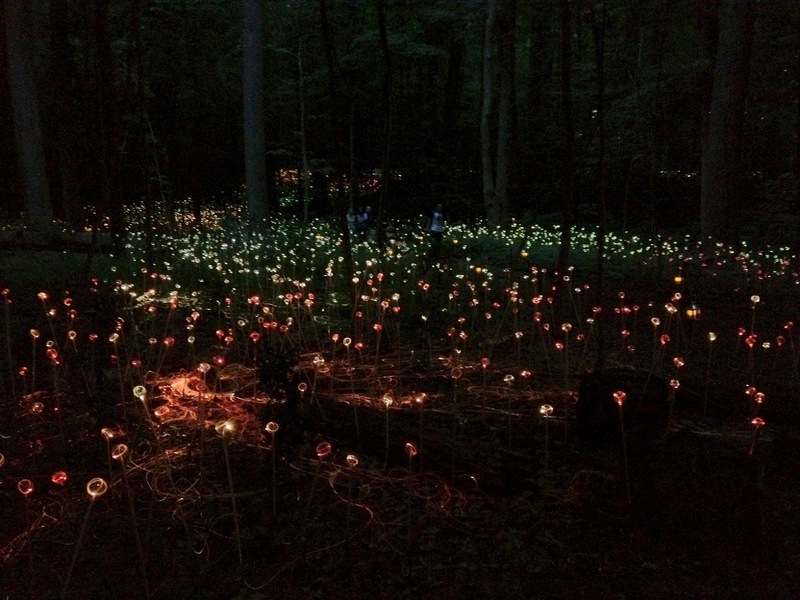 British artist Bruce Munro has his first ever light installment in the United States and his largest ever installment at Longwood Gardens right now. There is even an iPhone app to give you more details as you walk amongst the lights. Hurry though, the installment is only open until September 29th. A comfortable drive from most places within the county, Longwood Gardens is a must see (often) attraction.